Join Ray Monohan with his Money Line on Indians v. Astros! *Long term success! * Join us today & start making P-R-O-F-I-T-$ 1-day at a time. Join Ray Monohan with his Money Line on Yankees v. Angels! *Long term success! * Join us today & start making P-R-O-F-I-T-$ 1-day at a time. Bobby is hot of a recent 124-78 (61%) MLB run and he's ready to keep piling up the profit for his clients here tonight. *#2 Capper L30 Days (Top 5 MLB 2019)* SUREFIRE MLB 3-PLAY SUPER PACK! Jeff Alexander's has his $1,000 Players Up $177,000 long-term! --EPIC 674-558 (55%) Run Since July-- **4 Top 10 Finishes (Overall)**! Take your bookie out back and give him the beating he deserves with Jeff's SUREFIRE MLB 3-PLAY SUPER PACK! Faxon's MLB ML NO BRAINER Thursday! Join Cole Faxon with his Money Line on Rangers v. Mariners! Red-Hot 58% (89-65) Over L60 Days! Jimmy is off to another hot start on the diamond! **Sizzling 12-4 (75%) MLB Run** Don't miss out on an easy winner Thursday with Boyd's 4* MLB Underdog PLAY OF THE WEEK! Swept the board on Wednesday as we head into a smaller card on Thursday. Despite the lack of games we have isolated a Major Rivalry Contest that is providing us with Tremendous Value. After producing an amazing 17.8% ROI last season, we are currently at 19.4% ROI this baseball season. The oddsmakers made another mistake with this number which doesn't make sense but that's good for us. Dana was all over the Phillies on Wednesday which means he has not lost an 'Oddsmaker Mistake' selection in 6 days. Thursday's 2-Play MLB Pack from Dana Lane! Dana Lane is on an INCREDIBLE 206-156 (57%) run over his last 374 MLB picks! $1,000/game clients now up $31,150 since March 22, 2018! When you cash another ticket when you need it the most, purchase a MLB season pass to receive every selection right through the World Series. When all of my sources, contacts, systems, and stats agree on a game it's usually BIG! We have that situation tonight on Tigers v. Red Sox and it's a game you are not going to want to miss out on! IRON MIKE has put an ABSOLUTE BEATING on the bookmakers since April 12, 2018! His $1,000/game clients are now up $17,210 in COLD HARD CASH! Mike's 267-279 (49%) run over his last 572 MLB picks continues tonight and you aren't going to want to miss out. He has the Money Line of the Rangers v. Mariners game NAILED DOWN tonight and YOU CAN TOO for only $29! Ryan’s 10-Star Titans are akin to Game of the Year status as they are the absolute highest graded play his machine learning tools and more than 1,100 database algorithms can identify. The past two nights Ryan nailed his NBA 10-Star winners on the 76ers and the Jazz. 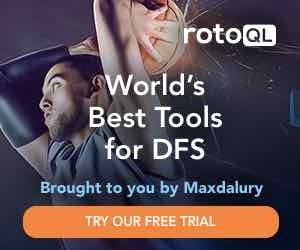 The play features a database situational query that has had 7 striaght seasons of profits and several predictive metrics that have compiled an outstanding 155-16 Run Line for 91% wins. Chip Chirimbes, the 'Big Game Player' and MLB Award winning Handicapper was 1-2 in MLB action Wednesday including his Power Play winner San Diego 1-0 over Seattle and is now 10-2 86% with his last 12 'Highest-Rated' releases. Chip has had 13-winning days, 3-losers and 1-'push' in MLB the last 17 days (32-16 67%). Thursday, he is posting a Power Play Best Bet winner between Atlanta and Cincinnati for only $39 or part of Chip's Triple-Play of MLB Best Bet winners! Chip Chirimbes, the 'Big Game Player' and MLB Award winning Handicapper was 1-2 in MLB action Wednesday and is now 10-2 86% with his last 12 'Highest-Rated' Megabuck releases and has had 13-winning days, 3-losers and 1-'push' in MLB the last 17 days (32-16 67%). Thursday, Chip is releasing a 'Highest-Rated' MLB 'Guaranteed' Megabucks Best Bet winner between the New York Yankees and LA Angels. Get this Best Bet winner for only $49 or part of Chip's Triple Play MLB winners! On Thursday "TOTALLY" Dominate As Rob UNLEASHES his National League Total of the Month backed with a 100% Subset System and a Plethora of Powerful Angles. Get on this one now as Rob Continues to Cash in Bases. Join Matt Josephs with his Total on Marlins v. Phillies! MICHAEL’S 10* MLB BLACK-LABEL BLOWOUT! It’s a MONSTER 10* MLB pick from Tim MONEY Michael on Thursday night - make sure to make the most of it! **950-777 MLB Run** Dave's 6* Yankees/Angels MLB *BAILOUT*! **3X Top 5 MLB Handicapper! ** (#3 in 2009, #4 in 2012, #5 in 2011) Dave is on a 950-777 MLB Run since 06/08/11 as well as a 555-439 MLB Run! Hop on board for Dave's 6* Yankees/Angels MLB *BAILOUT* for only $34.95 Thursday! He has pinpointed the winning money line in this matchup tonight ladies and gents! Dave's selection is guaranteed or you get Friday's MLB Picks for FREE! While he stumbled on the hardwood, Ben Burns was 2-1 at the ballpark Wednesday, including an easy winner with his lone top-rated play. (That was the 'under' in the SD/Seattle game, which finished at 1-0.) He's now a lucrative 65-38 his L103 baseball bets, overall. Going back further finds that his top-rated MLB plays showing $70,000 IN PROFITS! Rogers hit his 13TH STRAIGHT MLB pick on Wednesday afternoon in the Cardinal's 5-2 destruction of the visiting Brewers. Congrats to the MANY that wisely jumped on board this streak of UNREAL PERFECTION! And now The Coach PUSHES ALL IN on Thursday, looking to move to 14 STRAIGHT MLB WINNERS IN A ROW! MLB Thursday Total Dominator on Tigers v. Red Sox! I'm looking to continue my impressive 27-15 (64%) run over the last 49 MLB picks! Join me as I have made $1,000/game bettors $10,230 since April 09, 2019! Get in on one of the BEST over/unders for sale on the site today for MLB. It's my TOTAL DOMINATOR on Tigers v. Red Sox and it will "Totally Dominate!" MLB Thursday Total Dominator on Rangers v. Mariners! I'm looking to continue my impressive 38-24 (61%) run over the last 70 MLB picks! Join me as I have made $1,000/game bettors $12,080 since July 24, 2017! Get in on one of the BEST over/unders for sale on the site today for MLB. It's my TOTAL DOMINATOR on Rangers v. Mariners and it will "Totally Dominate!" Join Cappers Club with his money line on Indians v. Astros! The Cappers Club is here to make you a smarter sports bettor! As always, "The Club's" plays come GUARANTEED! You will profit or the next day is FREE! Larry's always been a fundamental handicapper at heart but partiucularly in MLB, he pays close attention to other details. When his "fundamentals' align with a long-term 100% winning situation, Larry releases an exclusive Pitch Perfect Play. He won his 1st & only of MLB 201back on March 30 & his 2nd goes April 25. Any takers? After going a solid 4-2 on Tuesday, Ricky was 4-1 Wednesday. Now Tran looks to carry that momentum over on Thursday as he also looks ahead and prepares for a big weekend of wagering! 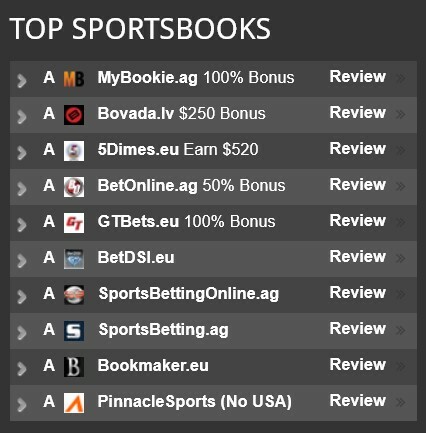 Five plays include NBA/NHL playoffs, as well as a trio of top rated MLB releases. Ricky's Marlins v. Phillies MLB Premium Pick *24-16 Run*! Ricky Tran is on an impressive 24-16 (60%) run over his last 41 MLB picks! Join the same handicapper that has made $1,000/game bettors $3,900 since May 01, 2018 with his play on Marlins v. Phillies!